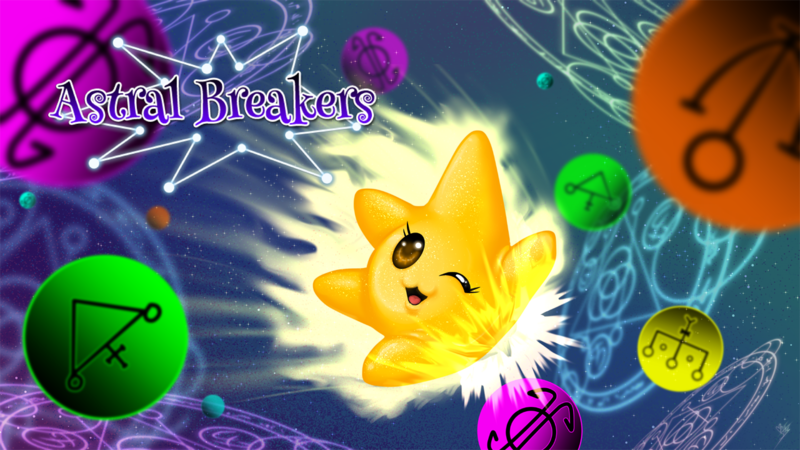 Blast off for the cosmos with the fast-paced whimsical competitive / cooperative sphere-smashing, combo-crashing action drop puzzle game, Astral Breakers! 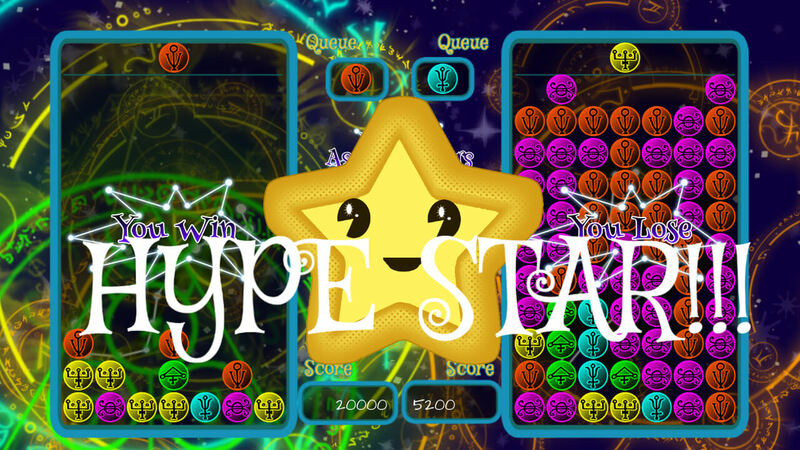 The Zodiac Constellations have gone berserk, and the cantankerous, star-castic Kira the Star recruits you to help save the universe. Clash for the cosmos with a friend (or enemy, perhaps) in a competitive Versus mode, team up in the cooperative SuperNova mode, or play solo in Story Mode against a challenging AI. We like to say the game is balanced with eSports in mind, but finished with a casual touch. 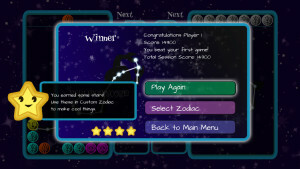 Choose your affinity among the twelve Signs of the Zodiac, or create your own in the special Custom Zodiac mode. The possibilities are endless! Do you miss multiplayer action puzzle games? 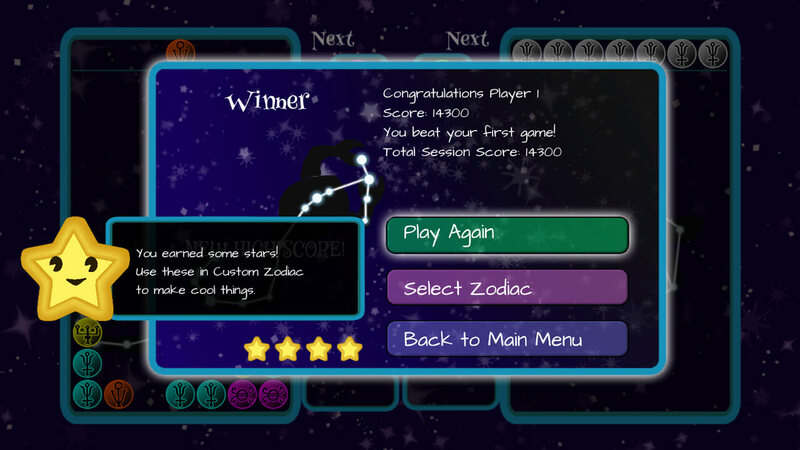 Don’t you ever get the urge to grab a friend (or mortal enemy), hook up a couple of controllers, drop a metric ton of puzzle garbage on the other side of the screen, and bathe in your opponent’s salty tears? Of course you do. As a husband and wife, we missed that feeling too. All of the recent releases in that genre have either transformed into free-to-play Frankenstein monsters packed with game-breaking features designed to siphon money from your wallet, or they were waylaid somewhere on the journey over from Tokyo after being released overseas. So we did something about it: we made our own puzzler. Fresh off of our release on the Wii U eShop and a recent appearance at Tokyo Game Show 2015, we’re proud to announce that we’re finally dropping down on Steam on February 4th! We hope that Astral Breakers will bring people together around the couch for some good old-fashioned puzzle competition (or, if things get too heated, cooperation). What makes our game different, you ask? 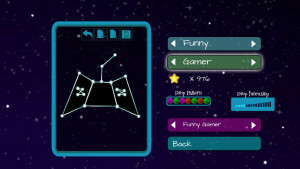 Use the mouse to plot your own constellations in Custom Zodiac Mode. 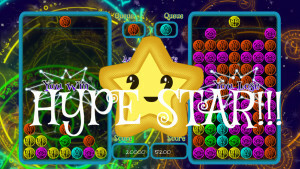 Based on your constellation’s name and shape, its attack properties will change! 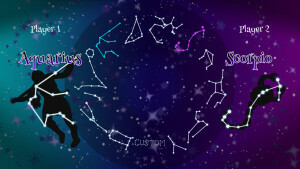 Generally, the more complex the drawing, the more lethal your custom constellations can become in battle! 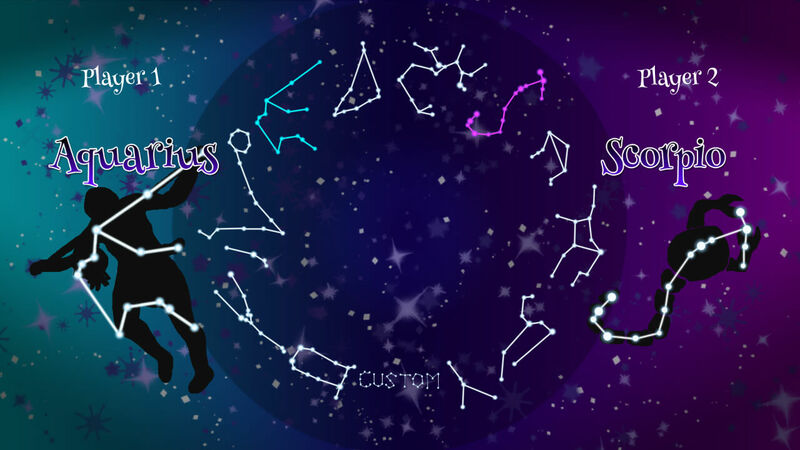 Or, if you’re feeling lazy, you can pick from any of the 12 existing Zodiac constellations. But we know you aren’t lazy. You are going to want to see shenanigans. And we at Intropy Games provide shenanigans of the ridiculously over-the-top saccharine-sweet hurt-your-teeth kind. The best shenanigans ever. 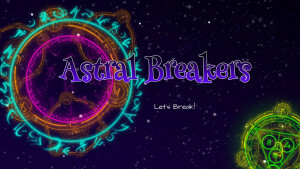 Even better, we have a few delicious new features exclusive to the Steam version of Astral Breakers! Mmmm….features…. For the obsessive completionist in all of us, we’ve created a wide array of Steam achievements to track your progress across the cosmos. 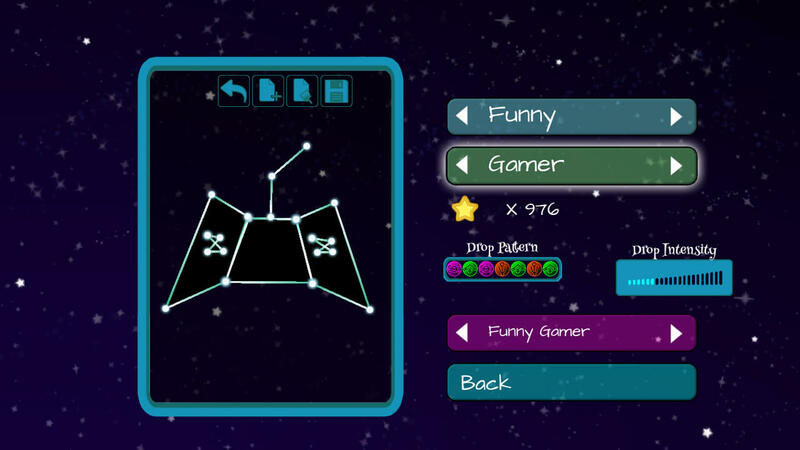 Unlike some OTHER puzzle games (that shall not be named explicitly in this announcement), we’ve created anexpansive button mapping feature and are proud to offer support for a wide variety of controller, keyboard, and mouse options. 日本語でもプレイできる！ You want moon runes? 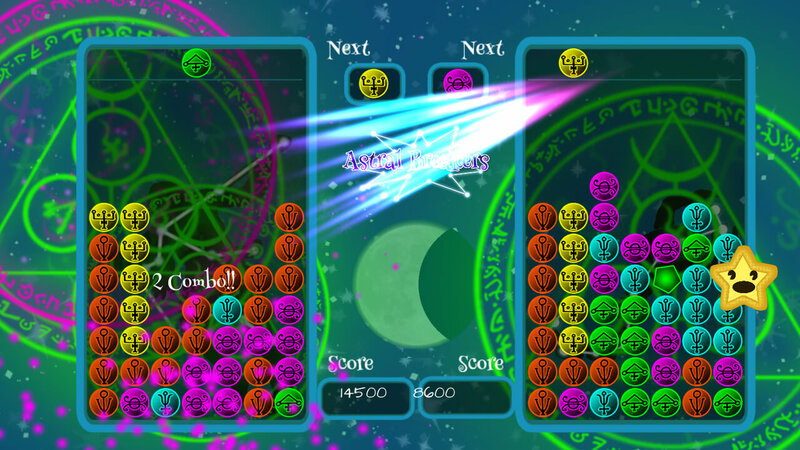 We got moon runes! 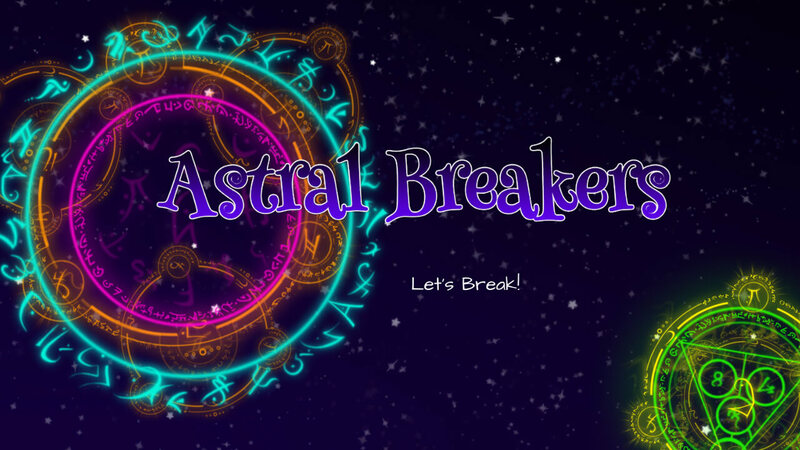 Astral Breakers on Steam contains the entire Japanese language version of the game, in addition to the English one we all know and love.